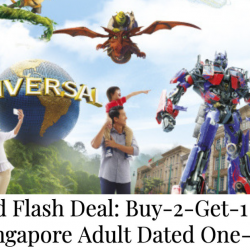 Till 17 Mar 2019 Universal Studios Singapore: Buy 2 Get 1 FREE Adult Tickets at SGD158 (U.P. SGD237) with MasterCard! It must be the low peak season at Universal Studios Singapore cuz they are out with another ticket offer! From now till 17 March 2019, grab 2 tickets and get 1 free at only S$158 (UP S$237) when you pay with a MasterCard. Promotion is valid from 14 -17 March 2019 for selected date of park visit between 18 March - 30 April 2019. Calling all choco-holics! If you have an unending love for chocolate, this is a must-visit for you! 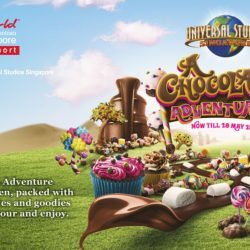 Universal Studios Singapore is having a chocolate-themed event - A Chocolate Adventure from now till 28 May 2017. Go on a Chocolate Adventure in the Chocolate Garden, packed with sweet wonder, activities and goodies that everyone can savour and enjoy!